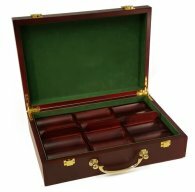 string(41) "Scroll 750ct Ceramic Poker Set - Mahogany"
This is the Scroll Ceramic Poker Set. 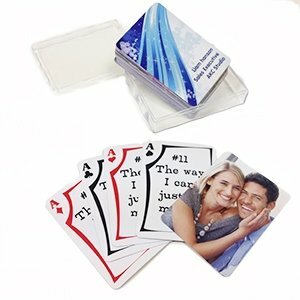 The Scroll poker chips are high quality, casino grade ceramic poker chips. These chips feature Victorian style flourishes around the outer border and large, easy to read denominations in the center. 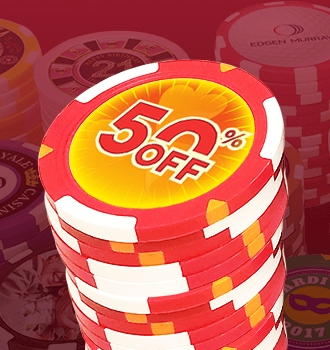 The Scroll is a classy look for any poker chip enthusiast and offers a true casino quality look and feel. The Scroll is a ceramic poker chip. Many casinos around the world use ceramic chips. Ceramic chips are of a much higher quality than composite or even most clay composites. Ceramic chips have a smooth surface and the graphics are printed directly on the chip as opposed to an inlay or sticker used on Clay Chips. The Scroll is 39mm in diameter and weighs 10 grams. The denominations are printed along the edge of the chip, as well as on either face, giving maximum exposure. In this Scroll Ceramic Poker Set you will receive 750 Nile Club poker chips in the breakout of: 200 $1, 200 $5, 150 $25, 100 $100, 50 $500, 50 $1000. 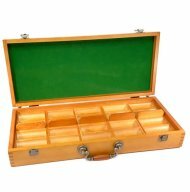 You will also receive a high quality mahogany wooden protective case, 2 decks of playing cards, and a dealer button.